It probably comes as no surprise that you are going to have to find a reliable Avon roofing contractor to take care of your residential service needs. This is what has made Brian O'Donnell Quality Home Improvements the premier choice in the area. Having been around to serve the roofing needs of the community since 1978, we know what it takes to get the job done. We are able to offer a wide variety of essential services; from new roof installation and routine inspections to storm damage repairs and roof replacement in Avon, CT. We can provide you with a thorough roof inspection and detailed assessment as well as provide you with a customized designed roof system. As the area's most experienced and qualified roofing expert, we look forward to working with you and taking care of your roof services. You are going to need to work with a roofer in Avon, CT periodically. It makes sense to want to find a roofing contractor to rely on so that you always know who to call on. We offer a variety of services so that you always know who to call on to get the job done. No matter what job it is that we take care of for you, you can rest assured the quality will be top notch. Let us provide you with the work that will protect your investment for years, if not decades, to come. We are in the business of offering quality workmanship in order to enhance the performance and prolong the lifespan of roofing systems. We realize that each situation requires its own special assessment and diagnosis. Brian will take the time to carefully inspect your roof to identify the root cause of the problem and then provide you with the various options that would work best for your situation. Give us a call today in order to get started. 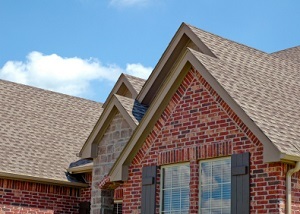 There may be plenty of choices for roofing services in Avon, CT but we are the name that makes the difference. For example, we take the green approach. You will notice that Brian does not show up with a dumpster for the construction waste. Being environmentally conscious is a big part of our approach to business. The waste from the job is divided up into components and then taken to a local recycler. From here it is converted into asphalt and reusable metals. There is no point in working with someone who doesn't care enough to do their part to make this process as green as possible. In addition to roofing, we also take care of skylights which is an important service to offer. Having skylights or a sun tunnel is a wonderful addition to any home. However, it must be quality work so that you can enjoy these features for years to come, as opposed to having constant repair needs. 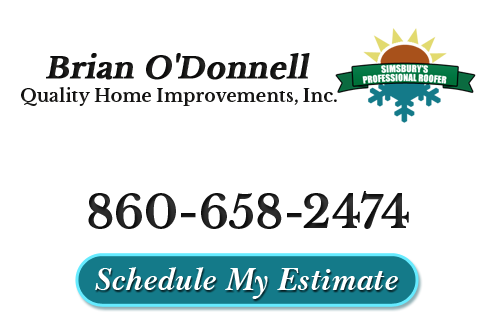 Brian O'Donnell Quality Home Improvements is the name that you can rely on for all of the work that you need for your roof. Let us be a part of helping you protect the most important aspect of your home. Don't take chances when it comes to the quality of work that you get done; let our pros provide you with the level of quality work you need. "Brian, the older I get, the more I appreciate work that is well done! That is what you and your company do. Keep me on your list of very happy customers. I am thrilled! I would be happy to share this with any prospective customer!" "Dear Brian, This is just a quick note to thank you for the outstanding roof replacement project that you completed as promised this week. I think it is important that your prospective customers understand that the reason we chose you was the competent evaluation of our situation and the resulting plan for this project. The quality of the work greatly exceeded that done by your competition." If you are looking for a professional Avon roofing contractor then please call 860-658-2474 or complete our online request form.